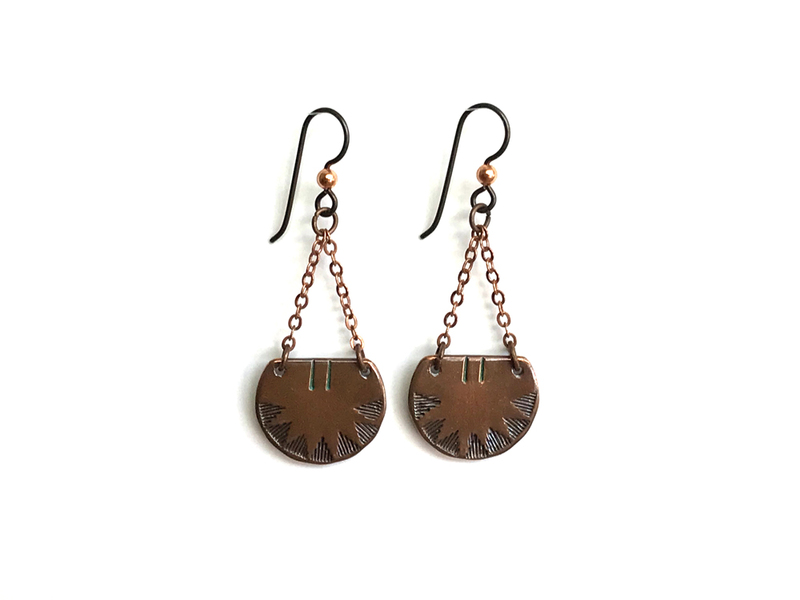 Earrings that are reminiscent of coins or body ornamentation of ancient cultures. Featuring stamped patterns, with a subtle green in the top lines for a little accent color. They are an earthy copper with a patina that gives it an aged look as though you discovered them in a sealed trunk of buried treasures. Approximately 1.5″ from bottom of earwire.